The beginning of Burin dates back to 1989 when the family of Vida and Martin Hawlina decided to set up their own company. In the spring of 1991, they opened the Fitness Centre Burin in Rojčeva Ulica in Ljubljana. At the time it was one of the first fitness centres in Slovenia. Besides the sauna, massages and the sunbed studio, the family also opened the exchange office and a travel agency in the same building. The agency specialized in the nautical tourism and summer holidays on the east Adriatic coast. The holiday destinations in Northern Dalmatia and on the islands of the Zadar Archipelago soon became Burin's trademark as it was the only agency in Slovenia to offer these particular destinations. In 1995 Burin was already becoming a leading Slovenian agency which offered gullet cruises along the Croatian coast. Following the nautical trend, Burin published its first catalogue BOAT CHARTER, which helps agencies with all kinds of sailing boat and motor boat charters. Today the catalogue is one of the most popular Slovenian summer catalogues in the field of nautical tourism. In 2000 Burin, as the leading Slovenian agent for boat charter, expanded and became the sales representative for the renowned French sailing boats Feeling as well as the Spanish motor boats Starfisher. In 2001 Burin became an active broker in the used boats dealership. The professionally worked-out plan placed Burin among the leading dealers of used boats. That same year Burin organized the first season of sailing school. In 2002 Burin established the club - Burin Yachting Club, which in a very short period of one year became the biggest nautical family in Slovenia with 600 members. 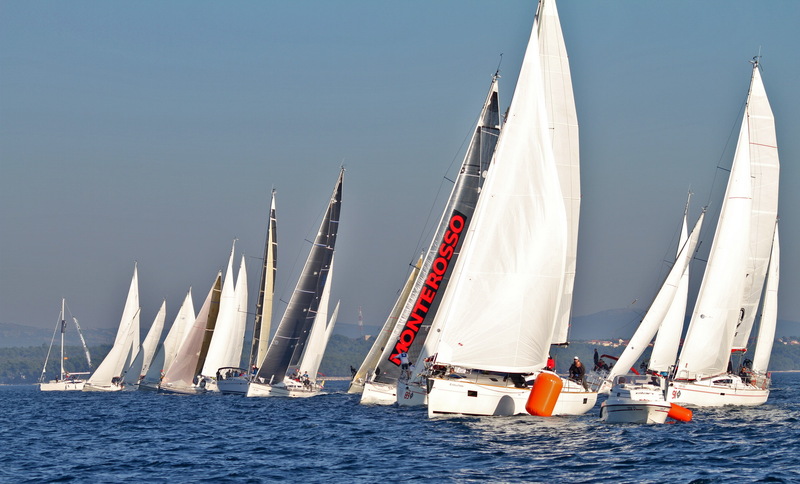 At the same time the club took an active part in organizing popular regattas and nautical events in Slovenia and Croatia. In 2003 Burin expanded their business to the Croatian market and opened their own base for charter boats in marina 'Kornati' in Biograd na Moru. Today Burin manages a large number of charter boats in the range between 7-16 m. We should especially mention the monotype fleet of 10 identical sailing boats Elan 340 (the European Boat of 2007), which offer an exceptional feeling and comfort. In 2005 g. Martin retired, which led to the closing of the fitness centre and the exchange office. The company, under the management of brothers Hawlina, moved to another location in the vicinity and changed the name to Burin YC. That same year Burin YC became the sales representative for Elan sailing boats on the Slovenian market and expanded their sales quota. Burin also helped the client to open the first official charter company in Kotor, Montenegro. The professionally worked-out project showed extraordinary results in the sales by the second season of the cooperation between Elan and the base. In 2006 Burin YC became the representative for the most prestigious brand of catamarans in serial production, French Privilege. The representation covers the area of former Yugoslavia (Slovenia, Croatia, Serbia and Montenegro). In 2007 Burin YC became the representative for other top quality European producers of nautical equipment (Selden, Polyropes, Baltic) and at the same time made plans to expand and actively participate in the distribution of the equipment. In 2012 the base in Biograd na Moru already has a fleet of 10 brand new monotype sailing boats Elan 350 One Design, which are undoubtedly the best in their category. Our guests and clients come from all over the world, 30% of which are Slovenian guests. Today the company is run by Hawlina brothers – David, Dane and Andrej, which is also demonstrated by the company's logo (three sailors). With the help of our professional staff, we can offer a dynamic style and a unique and rich range of services. Our famous motto is 'Place your trust in a fair wind'. Namely, burin is also the name of an Adriatic wind, which blows in the evening from northeast. In the past it would help sailors to bring their boats safely after many solitary night out on the sea.